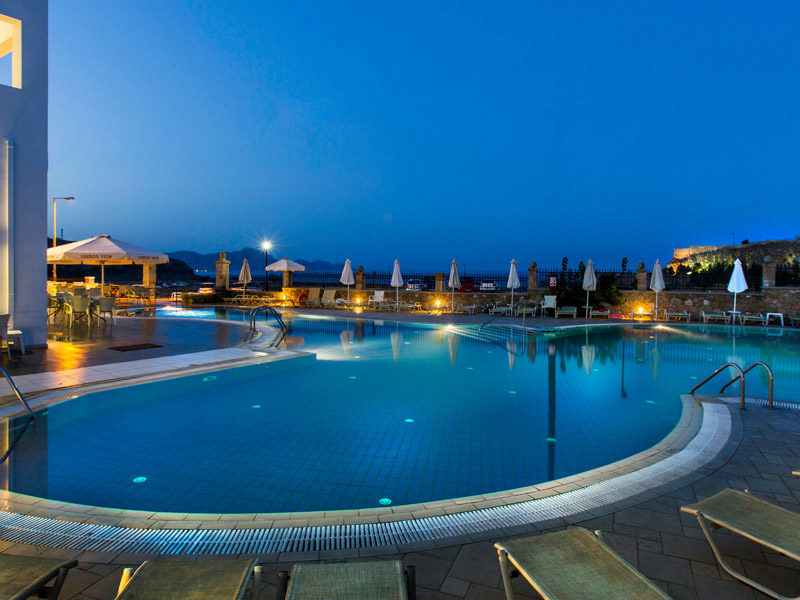 Panoramic Aegean Sea views and a laidback atmosphere await when you check into Lindos View. 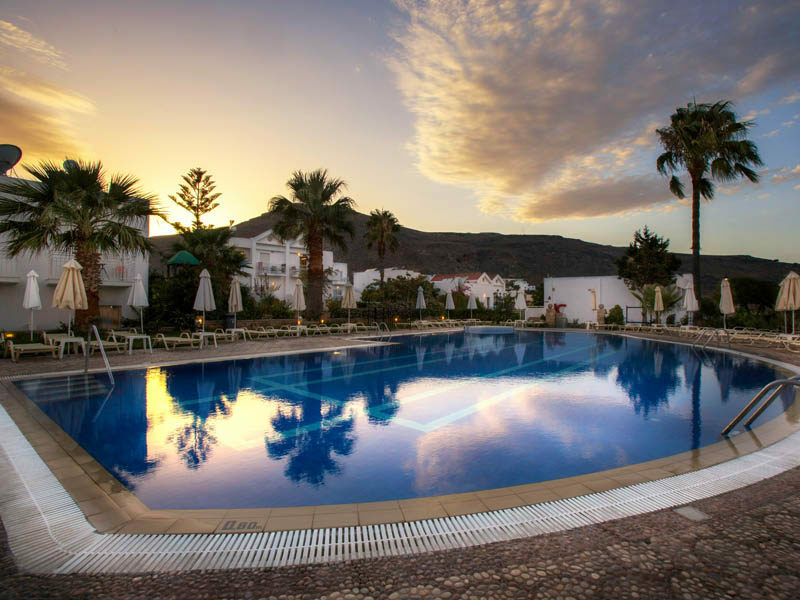 A variety of on-site facilities is equally matched by chic guest accommodation, a tasty dining scene, and beautiful scenes of Lindos Village. This place is perfect for adults to soak up the sunshine by the water's edge, while the children have fun in their own pool and play area. Step indoors and uncover a fun-packed games room with billiards, table tennis and electronic games. Keeping in touch with home is easy; there's Wi-Fi connection in selected areas. The stylish guest apartments showcase blues and neutrals, complemented by natural materials, wooden furniture and the latest modern touches. Expect air-conditioning, a mini kitchen area, and flat screen LCD TV. 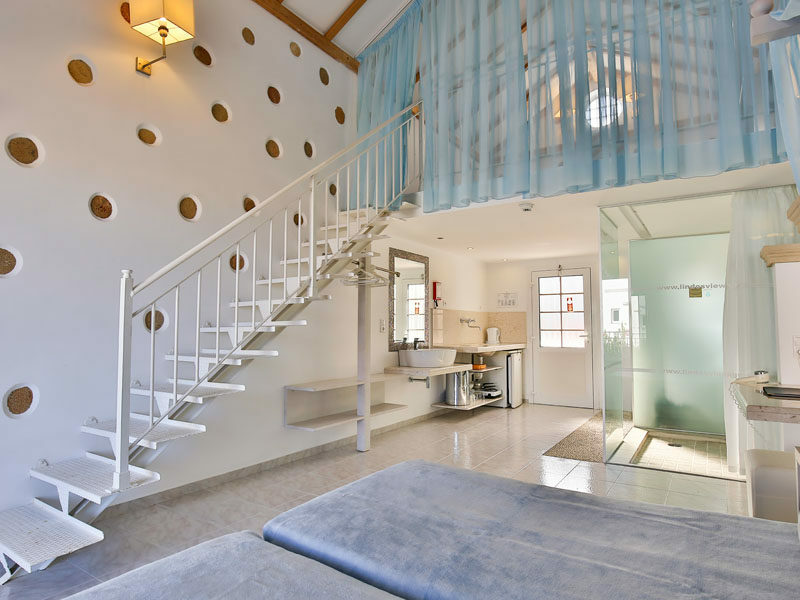 A contemporary bathroom and furnished balcony or terrace adds to the luxury feel. Enjoy stunning views as you savour Greek and Mediterranean flavours in the rooftop eatery. Light bites and drinks are also available during the day from the snack bar. 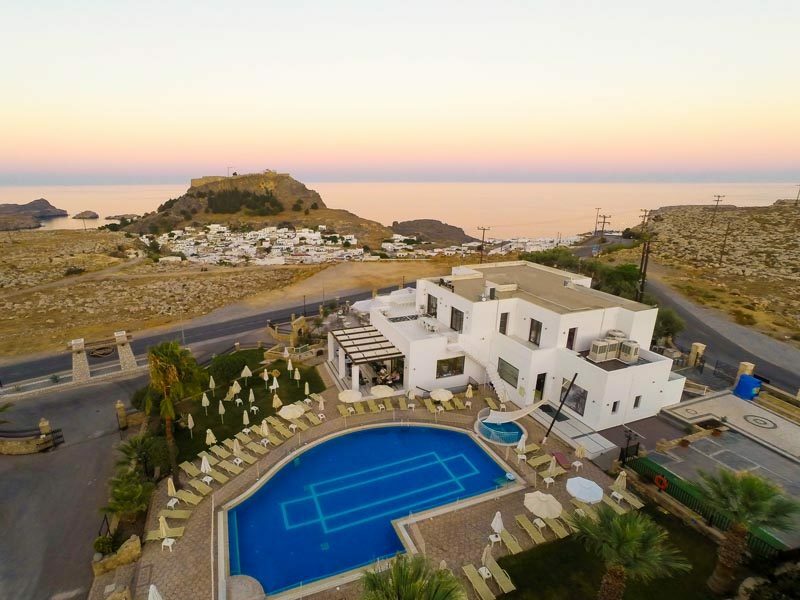 Discover why the Lindos View is a popular place to stay for Rhodes holidays. 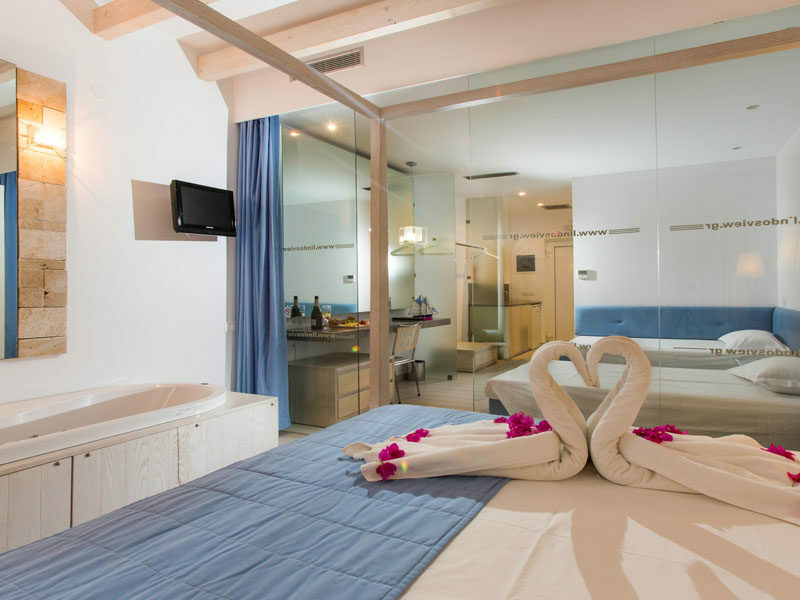 The Lindos View offers plentiful facilities. 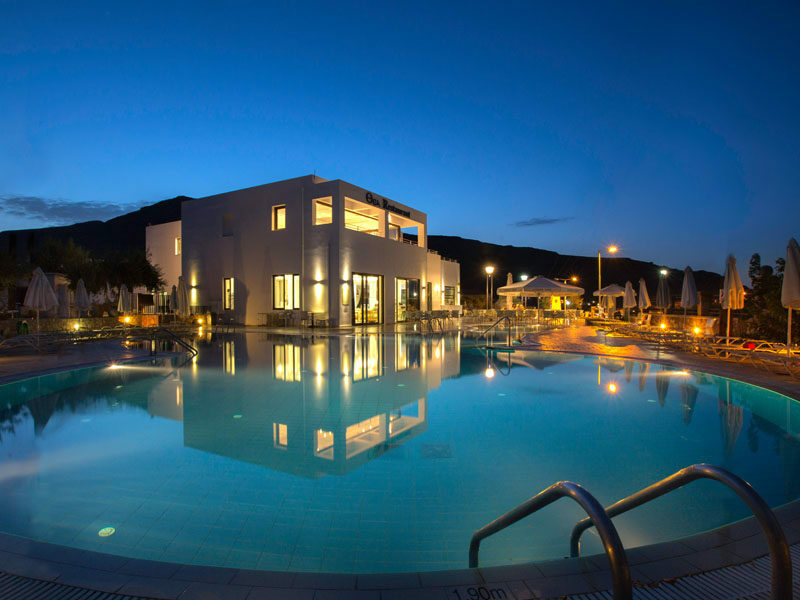 Highlights include: two outdoor swimming pools, sun terraces with sunbeds and parasols, children's pool, rooftop restaurant, snack bar, spa, complimentary parking, children's play area, and games room with table tennis, billiards and electronic games. 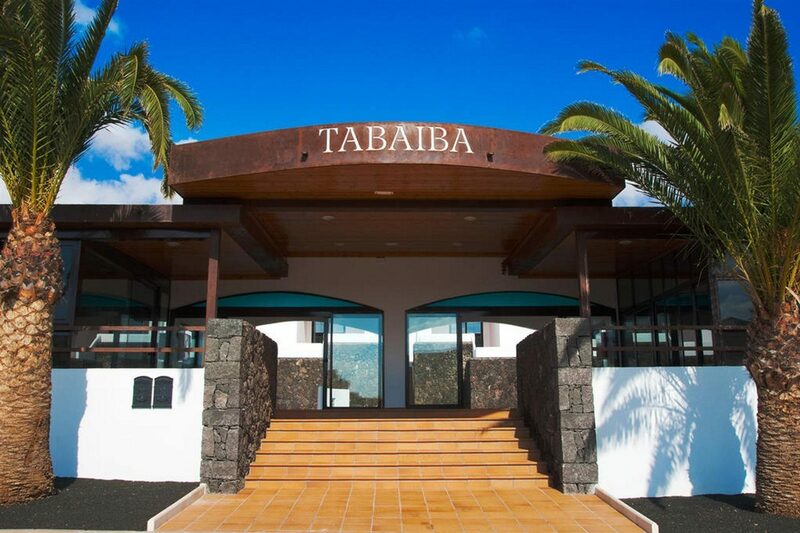 Additional facilities: 24-hour reception, currency exchange, 24-hour doctor on call, laundry service, maid service, room service, Wi-Fi connection in lobby and main building, book area, newspapers/magazines, and private transfers to/from the airport. This Lindos holiday complex has 89 themed studios and apartments. 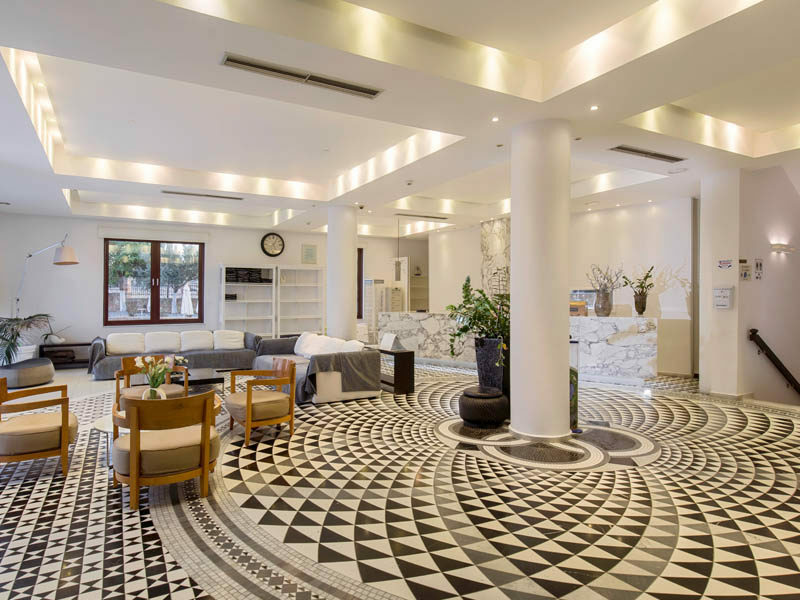 Apartment highlights: kitchenette, balcony or terrace, LCD flat screen cable/satellite TV, air-conditioning, hairdryer, safe, daily maid service, complimentary toiletries, bottle of wine and Greek sweet delight on arrival, internet access, and coffee machine. 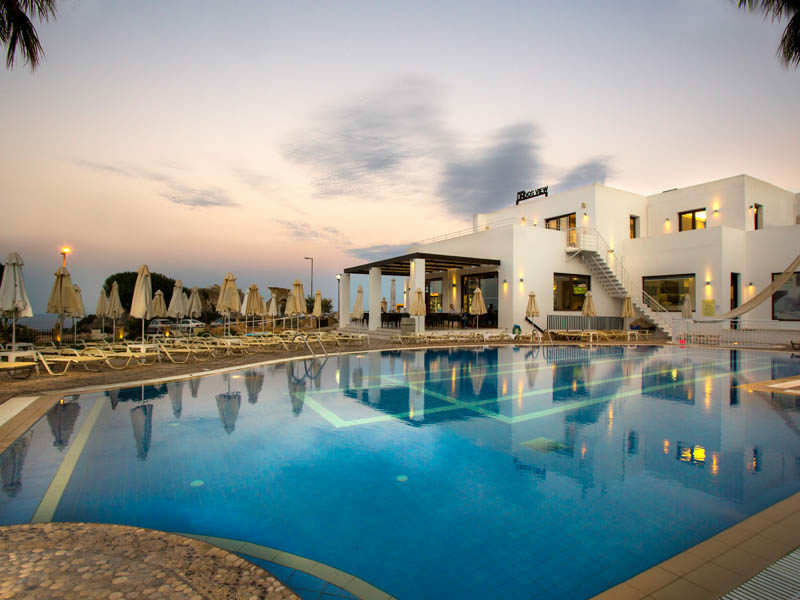 The rooftop Thea Restaurant serves contemporary Greek and Mediterranean cuisine accompanied by an extensive wine list. The Snack Bar is open all day and offers a menu of drinks, burgers, pasta, spare ribs, and pizzas. Lindos View was a wonderful complex, the staff were friendly and helpful. The accommodation was clean and very well looked after. I would go back there in an instant.